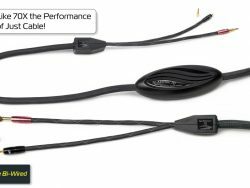 SL-Matrix Speaker Jumper Cables:come as a two-piece set for left and right channels. 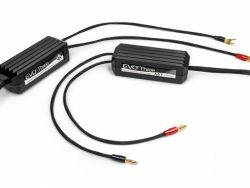 SL-Matrix Speaker Jumper Cables SL-Matrix Jumpers come as a two-piece set for left and right channels. 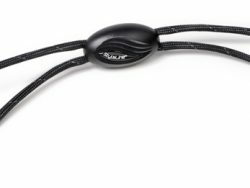 These versatile connectors are made by “bunching” the + and – wires in a twisted ratio for proper dielectric properties, and are finished with a (common) nylon woven outer jacket. 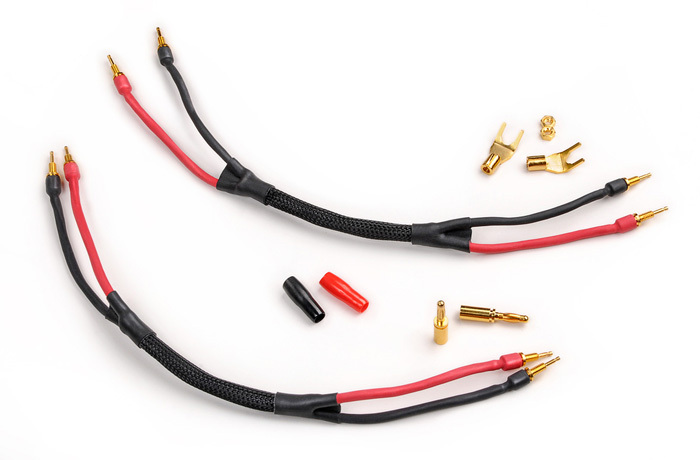 Each end splits into two (red and black) output tails of 6” and is fitted with (lead-free soldered) iconn connectors for any combination of spades or bananas. 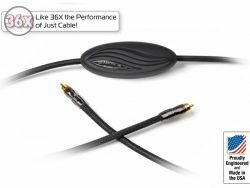 SL-Matrix Jumpers are flexible, fit neatly and sound great! 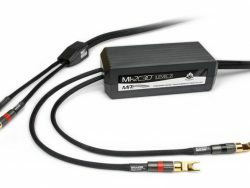 Uses the versatile iconn™ connector system for a reliable connection. Includes 4 sets each of Spades & Bananas, with insulators and lock-nuts.